Herbal medicine is older than the practice of acupuncture. Herbs are just as important to your therapy as your acupuncture treatment. 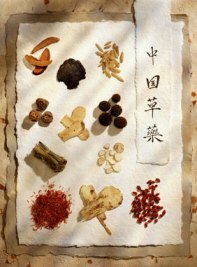 Chinese herbs are based on the same theories as acupuncture, allowing your treatment to continue while away from the clinic. Single herbs are combined into sophisticated formulas that match each individual issues. These herbal formulas change as the patient’s situation improves. You are allergic to substances such as wheat, seafood or mushrooms. You are taking prescription medication. Some herbs may reduce the efficacy of important prescription medicines. You are taking other herbs or minerals. You are vegetarian, because some formulas contain animal products. Before taking any herbs internally, we urge you to seek advice from a trained, qualified herbalist, rather than self-administering herbs. A qualified practitioner is trained to understand the indications and contraindications of herbal administration. Just because a product is natural does not always mean it is safe. Herbs should be taken in specifically measured doses, and many herbs should not be ingested for prolonged periods of time. Treatments with herbs only (no acupuncture) are also available at Many Lives Chinese Medicine.